When searching for a racecar sponsor, remember that it can be difficult to get someone to write you a check. That’s okay, though, because trading for necessities that you would’ve paid for on your own can be as good as getting money. So, figure out who could provide some essentials. 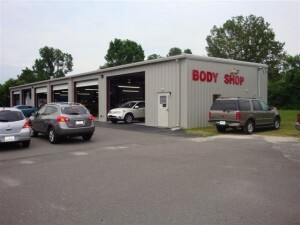 Obviously, body shops and garages are great, as they can paint, repair, or do mechanical work on your racecar. Of course, the ideal place would be a garage/auto body shop combination. Also loaded with potential, auto parts stores may either give you the parts you need, or, at least, sell them to you at cost. For good, used parts, try auto salvage yards. Check into some used car dealerships as well. Often purchasing their cars in batches, they sometimes get a few that they really don’t want to put on their lots. So, while they’re not worth selling, these cars could be valuable to you. Besides harvesting parts, you may find a fixer-upper, or a tow vehicle among them. Self-storage providers have possibilities, too, if you need a place to keep your car. In fact, look at other types of businesses, such as landscapers or cement contractors, that use heavy equipment that has to be stored. Don’t overlook sign shops, either, as they may be able to furnish the lettering for your car. Companies that provide uniforms, sports gear, or promotional products, such as T-shirts or key chains (for give-aways) can also be helpful. Truly, the possibilities are endless. So start brainstorming, and you’ll soon realize that even a moneyless sponsorship can be as good as gold.